The annual airshow draws thousands of people. The Northern Ireland Executive must ensure Roe Valley’s “tremendous tourism package” is developed for the benefit of the people and economy. That was the message from East Londonderry MLA George Robinson during an Assembly debate on sporting tourism. 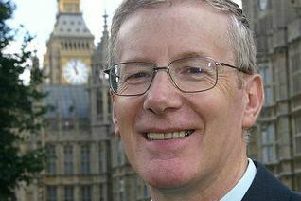 The DUP representative told colleagues: “My East Londonderry constituency hosts the North West 200, the Northern Ireland Milk Cup and the air show. “It has top-quality golf courses, has been used as part of the Giro d’Italia route and is blessed with excellent salmon and trout fishing rivers as well as a stunning coastline that attracts sea angling. Speaking afterwards, Mr Robinson added it is “essential that the tourist product we have is highlighted and used in a tourist strategy that brings people to our area” and creates jobs.